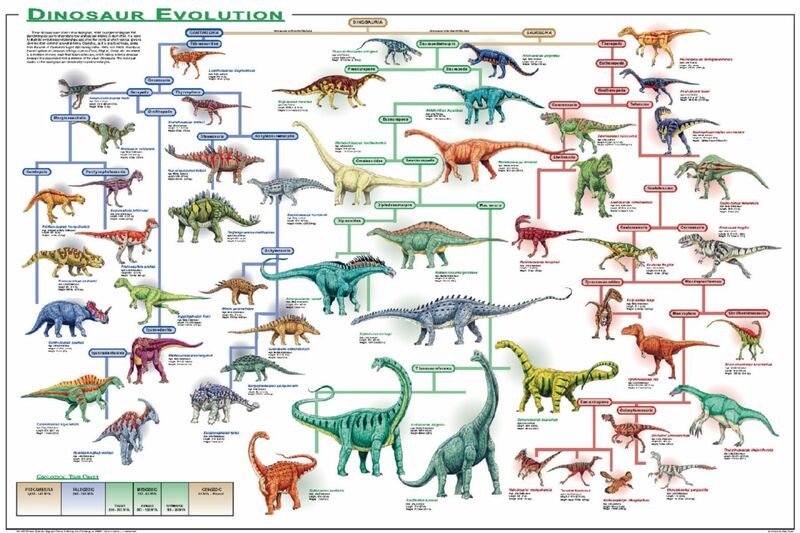 The evolution of dinosaurs is shown here on a cladogram, a type of diagram used by paleontologists to understand how animals are related to each other. 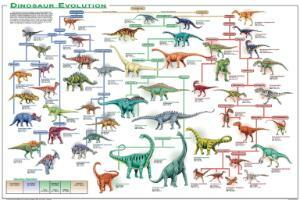 The Dinosaur Evolution Poster is printed on heavy, acid-free paper using non-fade inks. Laminated. Size: 24" x 36".